Susan B. Anthony | Vorwärts und nicht vergessen! 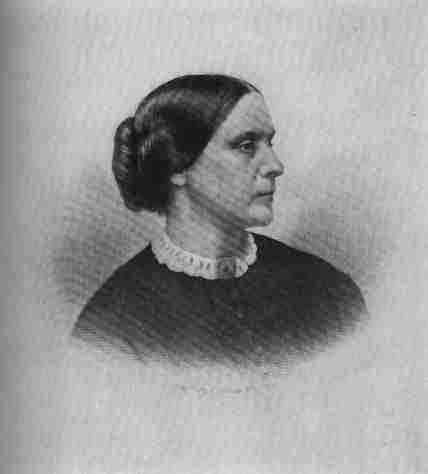 Susan B. Anthony was born February 15, 1820 in Massachusetts. Susan taught school from ages 15 to 30 before devoting her life to reform. She and Elizabeth Cady Stanton, starting in 1850, became lifelong feminist collaborators. The tireless crusader spent 30 years campaigning for women’s suffrage. Raised Quaker, Susan became a Unitarian, but at the end of her life was an agnostic, according to Stanton, who wrote: „Every energy of her soul is centered upon the needs of this world. To her, work is worship.“ Susan’s professed „creed“ was that of „the perfect equality of women.“ While privately scolding her radical friend Elizabeth for editing the controversial Woman’s Bible, Susan publicly defended her. She also confessed: „But while I do not consider it my duty to tear to tatters the lingering skeletons of the old superstitions and bigotries, yet I rejoice to see them crumbling on every side.“ Celebrating „Aunt Susan’s“ birthday became an annual feminist tradition starting with her 50th birthday. At Susan’s 86th birthday celebration in 1906, while giving her last public address, she acknowledged other feminists and vowed: „with such women consecrating their lives, failure is impossible!“ D. 1906.